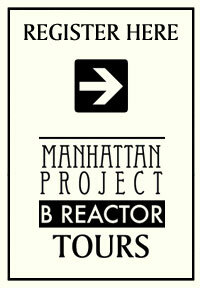 Registration for 2019 B Reactor Tours is now open! The B Reactor National Historic Landmark is the world's first full-scale plutonium production reactor and part of the Manhattan Project National Historical Park. Sign up for a tour and learn more about the people, events, science, and engineering that led to the creation of the atomic bombs that helped bring an end to World War II. The U.S. Department of Energy offers free public tours of the B Reactor. Tour season is generally from spring to fall, with varying dates and times. The list of tour dates for 2019 is below. Complete the first step of the registration process to see which tours still have seats available. Click on the registration button on the upper right to begin the registration process. Tours begin and end at the visitor center located at 2000 Logston Blvd. 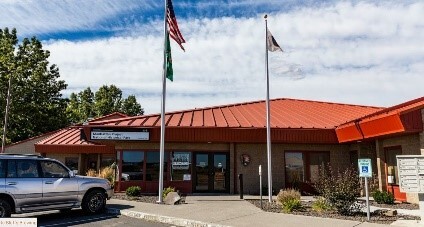 Richland WA. Is there a special focus for tour participants (e.g. technical or scientific interest)? Staff will evaluate your request to determine feasibility and will contact you within one 1-2 business days. We may also be able to help you reserve seats for your large group as part of a scheduled public tour. If you have any questions, please call the visitor center, at (509) 376-1647. Learn more about the world-changing history, science and engineering behind the Manhattan Project and B Reactor, as well as the history of Native American and early settler populations at the Hanford Site, with videos produced by the B Reactor Museum Association and the Atomic Heritage Foundation. For questions or comments, please send a message to the webmaster.